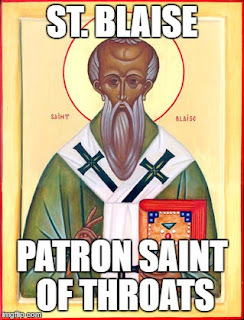 St. Blaise is the Patron Saint of Throats. Pray to him if you have any ailment or issue of the throat. 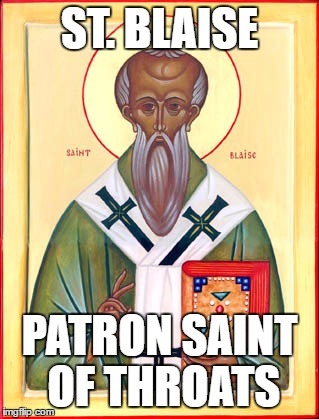 Also, if someone swallows a bone or similar object, say a prayer for St. Blaise's intercession.